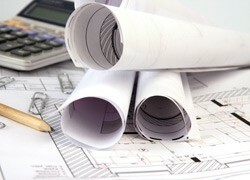 Specialising in architectural and design services to clients in Glasgow and Central Scotland. For expert advice on negotiating the complexities of commercial and domestic architectural litigation, BM Plan and Design is a veritable one-stop-shop. Operating throughout West Central Scotland, BM Plan and Design is perfect for securing licensing plans, architectural consent and obtaining statutory consent for pubs, clubs and retail outlets. Our fully qualified staff has secured consents for a number of prestigious clients, from high street retail outlets to large brewing consortiums. Whether you are looking to obtain a building warrant, planning permission, or consent to display advertisement, BM Plan and Design's tailored service makes for an effortless navigation of seemingly abstruse red-tape. The company is able to offer a comprehensive range of architectural services, including feasibility studies, planning permission and building warrant applications, signage consents. New build house design and office space planning. Extensions to domestic and commercial property, attic conversion design, conservatories approval and garage conversion design are all jobs that can be undertaken. Every job is tailored to the requirements of the client.